Geneva, 19 January 2016 – With record numbers in attendance, the busiest ever meeting of the Standing Committee of the Convention on International Trade in Endangered Species of Wild Fauna and Flora (CITES) concluded last week with a vast array of concrete outcomes. Significant decisions were taken concerning elephants, cheetahs, rhinos, pangolins, sharks, tigers, high value timber and other species in an effort to further strengthen the conservation of these precious species through the regulation of legal trade and the prevention of illegal trade. Decisions adopted by the Standing Committee addressed enhanced legislation, enforcement, regulatory measures, better science and new and innovative approaches to traceability, as well as livelihoods. Substantial progress has been made under CITES to combat illegal trade in ivory, particularly through the preparation and implementation of National Ivory Action Plans (NIAPs) by 19 key countries implicated in the illegal trade in ivory. The Standing Committee agreed that the NIAPs of China (including that of Hong Kong SAR), Kenya, the Philippines, Thailand and Viet Nam had been substantially achieved and commended these Parties for their efforts. However, in the face of the ongoing high levels of poaching of African elephants, the CITES subsidiary decision-making body agreed that the massive collective effort that is underway to reverse the negative trends must be maintained. Parties that have substantially achieved their NIAPs were encouraged to continue their efforts to combat illicit ivory trafficking, and the remaining 14 Parties implementing NIAPs were urged to enhance their efforts to complete the delivery of these plans. Participants to the meeting applauded the progress made since COP16, in the conservation and management of sharks under CITES recognizing the unprecedented global collective effort that is underway to implement the CoP16 listings from 2013. CITES Secretary-General, John E. Scanlon, said: “CITES is a highly effective international agreement, which was evident from last week's Standing Committee meeting. It was a good week for wildlife with the Committee taking well focussed decisions on compliance, enforcement, financing, legislation, livelihoods and sustainability. These decisions will further support the conservation of many species of wild animals and plants, including cheetahs, elephants, pangolins, rhinos, sharks, tigers and high value timber species, which were all on the agenda. We are seeing an unprecedented level of cooperation in implementing CITES both as it affects strictly regulating legal trade and combating illegal trade. Among other things, the Committee also agreed on: major steps to address the issue of captive breeding by correcting errors made in source codes and the laundering of wild-harvested animals as captive bred; concrete recommendations to stop the illegal trade in cheetah, including through enforcement, public awareness and international cooperation; further steps to strengthen legislation, law enforcement, demand reduction and the management and control of captive breeding facilities to tackle the illegal trade in tiger; specific actions to further strengthen national inter-agency cooperation and international cooperation to enhance collective efforts in range, transit and destination to combat illegal trade in pangolin, including the application of forensic science; recognition of the vital role of traceability in ensuring legality and sustainability of trade in CITES species. A series of recommendations to suspend trade were adopted in response to the lack of the progress in improving national legislation, failure to submit CITES trade data, non-respect of approved export quotas, persistent trafficking in timber species, the result of significant trade review and failure to report progress in NIAPs. “While there were differences of opinion on some issues it was heartening to see the spirit of camaraderie and cooperation in the room, as was recognized by many attendees, and we look forward to this positive spirit carrying over to September when the 182 Parties to CITES convene at the CITES CoP17 in Johannesburg at the World Wildlife Conference”, added Scanlon. The Committee agreed to call for a review of the CITES rules governing international trade in specimens of species bred in captivity and to propose to CoP17 that a process be put in place to monitor all trade in specimens of species claimed to have been bred in captivity with a view to identifying and taking action in cases where specimens taken from the wild are being traded as if they were bred in captivity, thus taking advantage of less strict controls. For Asian big cats threatened with extinction which are or may be affected by trade (i.e. snow leopard, clouded leopard, leopard and Asiatic lion), the Committee agreed to call for Parties to review their national controls on facilities holding specimens of such species in captivity and for a review of the number of these and the specimens they hold in order to prevent illegal trade through such facilities. suspension of trade with Guinea Bissau, Liberia and Venezuela in all CITES-listed species for failing to make sufficient progress in preparing and adopting national legislation to implement and enforce CITES. suspension of all commercial trade with Angola, Lao PDR and Nigeria for failing to report on progress with NIAP implementation. suspension of trade with Bhutan, Central African Republic, Congo, Grenada, Guinea, Mali, Mongolia, Nicaragua, Panama, Rwanda, San Marino, Sao Tome and Principe, Solomon Islands and Vanuatu for failing to submit annual reports on trade in CITES-listed species if no annual reports are received within 60 days. suspension of trade with Lao PDR in monkeys and pythons, with Benin, Cameroon and Ghana in chameleons, with Solomon Islands in giant clams, with Guinea and Senegal in seahorses, and with Fiji in corals, resulting from the ongoing Review of Significant Trade process. suspension of trade with Madagascar in some high-value timber species including 48 species of Dalbergia (5 rosewoods and 43 palisanders) and 233 species of Diospyros (ebonys) in consideration of the continued illegal logging and illegal exports. suspension of trade with the Democratic Republic of Congo (DRC) in Psittacus erithacus (African grey parrots) for exceeding approved export quotas and the lack of scientific data on the status of the DRC populations of grey parrots. The Standing Committee noted the need for firm and strengthened action to be taken across the entire illegal wildlife trafficking chain, on both the supply and demand sides, and encouraged further scaled up efforts at the national, regional, and global levels to combat illegal trafficking in wildlife. The Standing Committee further recognized the important need to address corruption to effectively combat illicit trafficking in wildlife, and that it is becoming increasingly important to step up efforts to ensure that adequate measures are in place to prevent, identify and address corruption. The increased use of tools and services available to the enforcement community such as INTERPOL Notices, secure information exchange mechanisms such as ENVIRONET, and. Wildlife Incident Support Teams (WISTs) that could be deployed upon request to support countries that have made large scale seizures of CITES specimens or that needs support to conduct complex investigations, were also encouraged . The Standing Committee recognized the important role that the International Consortium on Combating Wildlife Crime (ICCWC) can playin supporting increased international collaboration and coordination to combat illicit trafficking in wildlife, and the ongoing efforts of countries. The Consortium launched the ICCWC indicator framework for wildlife and forest crime at the Standing Committee meeting. The ICCWC indicator framework provides a tool for countries to measure and monitor their responses to wildlife crime through a standardized approach. It will enable countries to monitor their performance over time, and to identify any changes in the effectiveness of their law enforcement responses to illicit wildlife trafficking. The ICCWC Strategic Programme 2016-2020, a comprehensive strategy outlining the types of activities to be pursued by ICCWC up to 2020 based on funding availability and donor support, was also launched at the Standing Committee meeting. According to figures released by the CITTES National Legislation Project, 88 countries and 13 dependent territories need to strengthen their legal frameworks for the effective implementation of CITES, including to combat illegal trade in wildlife. 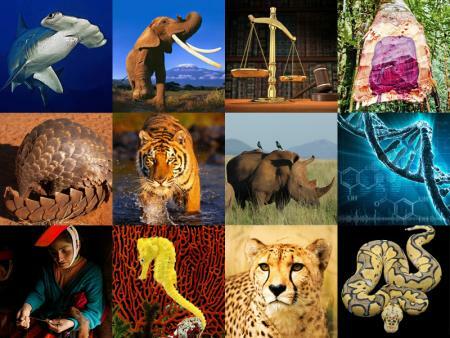 The CITES National Legislation Project has identified 17 countries that require attention as a priority, namely Algeria, Belize, Plurinational State of Bolivia, Comoros, Djibouti, Guinea-Bissau, Kazakhstan, Kenya, Liberia, Mauritania, Mozambique, Pakistan, Paraguay, Rwanda, Somalia, United Republic of Tanzania and Bolivarian Republic of Venezuela. Most had made progress to adopt appropriate legislation before the upcoming meeting of the Conference of the Parties in September this year. The high levels of elephant poaching and illegal trade in ivory continue to receive significant global attention. The Standing Committee acknowledged the variety and scope of CITES responses, involving elephant range, transit and destination States, ICCWC partners and a wide range of national and international bodies and organisations. The Committee agreed on measures for discussions at CoP17. The Standing Committee considered the progress made by 19 Parties requested to develop and implement National Ivory Action Plans (NIAPs). The Committee agreed that China (including Hong Kong SAR of China), Kenya, the Philippines, Thailand and Viet Nam have 'substantially achieved' the implementation of the activities outlined in their NIAPs, and commended these countries for the progress made. The determination of whether these Parties remain of 'primary concern' in the elephant poaching and illegal ivory trade chain was deferred until CoP17, when the updated results of the CITES programme Monitoring the Illegal Killing of Elephants (MIKE) and the analysis of the Elephant Trade Information System (ETIS) will be available. The Standing Committee agreed that Malaysia, Uganda and the United Republic of Tanzania have not yet 'substantially achieved' their NIAPs and these countries, together with Cameroon, Congo, the Democratic Republic of the Congo, Egypt, Ethiopia, Gabon, Mozambique and Nigeria, as Parties of ‘secondary concern', and Angola, Cambodia and the Lao People’s Democratic Republic, as Parties of ‘importance to watch, were directed to enhance their efforts with NIAP implementation, and to further report on their progress at SC67 on 23 September. The Committee agreed to recommend that Parties suspend commercial trade in CITES-listed specimens with Angola, the Lao People's Democratic Republic and Nigeria for failing to submit their reports on progress with NIAP implementation to the Committee. The Committee could not come to an agreement on any proposed future mechanism for trade in ivory, and will inform CoP17 accordingly, together with a request directed to the CoP on whether the Committee should, or should not, continue working on developing a mechanism. The Standing Committee welcomed the results of Operation Protection of Asian Wildlife Species II (Operation PAWS II), which serves as an excellent example of a coordinated law enforcement effort with the common objective of identifying, disrupting and dismantling the organized criminal groups behind wildlife trafficking. The Standing Committee encouraged China, India, the Lao People’s Democratic Republic, Myanmar, Nepal, Thailand and Viet Nam to continue and further strengthen their engagement in such operations and the operational enforcement activities delivered within the framework of the INTERPOL Project Predator Tiger Crime Initiative, and any similar future initiatives. Furthermore, the Committee adopted a set of recommendations proposed by its Working Group on Asian big cats encouraging the increased use of DNA registration, photographic identification, and other types of identification databases of captive Asian big cats, research on demand for illegal products of Asian big cats and factors driving poaching of their wild population, and the prevention of illegal online trade. The Committee also adopted recommendations to submit a set of draft decisions to CoP17 regarding financial and technical support to Parties to effectively implement the CITES Resolution on Asian big Cats, to conduct a review of the number of Asian big cat captive facilities, to review legal and illegal trade linked to captive facilities which may be of concern, including management practices and controls in place to prevent Asian big cat specimens to entering illegal trade. The Standing Committee expressed concern that international trade in illegally or unsustainably harvested bushmeat may pose a threat to wildlife species as well as to food security and livelihoods of wildlife dependent communities. The Standing Committee revised and updated guidance for CITES Parties in this regard, to ensure that the use of wildlife consumed as bushmeat is legal and sustainable. It directed the CITES Secretariat to work with partners to assist Parties in enhancing their capacity to regulate the bushmeat trade. The Standing Committee adopted a number of recommendations on cheetahs and draft decisions to be submitted to CoP17. These recommendations and decisions will address issues such as public awareness and education schemes, international cooperation and communication, cooperation on the humane disposal of confiscated live cheetahs and the development of capacity building tools. The Standing Committee adopted recommendations proposed by its Working Group on Pangolins, to submit a draft Decision as well as a draft Resolution on the Conservation of and trade in Pangolins to CoP17, for consideration, which if adopted by CoP17, will amongst others urge countries to adopt and implement or review their national legislation, ensure strict enforcement controls, strengthen national and international cooperation and carry out capacity-building activities to combat illegal trafficking in pangolin specimens. The Standing Committee noted that a lot has been done and that a wide range of commendable activities have been implemented, are ongoing and are being planned to combat rhinoceros poaching and trafficking in rhinoceros horn. It, however, also recognized that despite these efforts, rhinoceros poaching and trafficking in rhinoceros horn continues to be a matter of great concern. The high value of rhinoceros horn makes it a lucrative and attractive commodity for transnational organized crime groups, and it is becoming increasingly important for authorities to deploy the same tools and techniques used against other domestic and transnational organized crimes, such as the trafficking of narcotics, humans or arms, against the criminal groups involved in the illegal killing of rhinoceroses and the trafficking of rhinoceros horns, and in particular against those individuals managing and organizing these illegal activities. The Standing committee adopted recommendations directed to India, Mozambique, South Africa, Viet Nam and Zimbabwe, all key countries in the illicit rhinoceros trafficking context. These countries were requested by the Committee to report to it on the implementation of these recommendations at its 67th meeting, which will be held immediately before the start of CoP17. The Standing Committee also agreed a recommendation requesting its Working Group on Rhinoceroses to compile a list of relevant studies, workshops, campaigns and other initiatives on reducing demand for rhinoceros horn and to produce a synthesis report covering approaches, methods, best practices and challenges experienced that can assist countries in further enhancing the effectiveness of their demand reduction strategies. The Standing Committee acknowledged that unregulated and unsustainable trade in snakes can pose significant threats to wild snake populations and that international cooperation is urgently needed to address these threats. In this context, the Committee agreed on extensive guidance for CITES Parties on the conservation, sustainable use of and trade in snakes. The Standing Committee listened to various interventions by Parties and Stakeholders praising the unprecedented progress achieved for the conservation and management of this important species group since COP 16. Overwhelming support was expressed for the work of the Animals Committee on this topic and the Standing Committee endorsed its recommendations. The Committee will continue to discuss legal, regulatory and enforcement related issues related to the shark listings and endorsed that a draft decision to formalize its role in the conservation and management of shark species will be prepared for CoP17. Some Parties also took advantage of the 66th meeting of the Standing Committee to publicize their proposals for the listing of additional shark species under the Convention. Sri Lanka introduced its proposal to list all three species of Thresher Sharks and the Maldives its proposal for the inclusion of the Silky Shark in Appendix II. The Committee considered reports from Madagascar and various other countries and organizations on the continued illegal logging and illegal exports notwithstanding the significant support provided by the international community to the Government of Madagascar. The Committee agreed to recommend that all Parties suspend commercial trade in specimens of the species rosewood, palissander and ebonies from Madagascar until that country demonstrates it has significantly increased enforcement actions at the national level. Madagascar was requested in particular to report about seizures, prosecutions and sanctions imposed for illegal logging and illegal exports, as well as on the implementation of recommendations on enforcement cooperation at the international level. The Standing Committee further agreed that if Madagascar does not make significant progress by 25th July 2016, it will consider a recommendation to all Parties to suspend commercial trade in specimens of all CITES-listed species from Madagascar at SC 67. Finally, the Committee agreed that new decisions should be proposed for adoption at CoP17, to continue making progress on strengthening capacity to implement CITES for this valuable group of timber species. The Standing Committee noted the importance of continuing the hands-on, national capacity-building activities in addition to the further development of virtual tools and regional initiatives. The Committee called for the monitoring of capacity building needs of Parties, and related activities undertaken by Parties, through the analysis of the relevant section of the new implementation report as well as through other more direct means. The Standing Committee welcomed the launching of the CITES and Livelihoods handbook, as well as the initiatives undertaken by Parties and other stakeholders with respect to assessing the positive and negative impacts of trade in CITES-listed species on the livelihoods of local communities. The Committee called for the continued promotion of the linkages between CITES and livelihoods, particularly through their incorporation in their national socioeconomic and development planning, as well as through the exchange of livelihoods experiences and lessons learnt. The Standing Committee reaffirmed that traceability is a vital element that ensures legality and sustainability of trade in CITES-listed species. The Committee recognized the importance of having a common understanding on traceability, as well as on the need for flexible, viable and interoperable framework that accommodate the Parties’ individual situations and conditions. The Committee adopted a draft decision on traceability to be submitted to CoP17 on traceability. At the closing of the meeting CITES Secretary General John E. Scanlon announced that Tajikistan had acceded to the Convention as the 182nd Party, effective 30 March 2016.